This month, we highlight some ways in which large numbers of refugees and migrants remaining in – or transiting through – the MENA Region are being successfully hosted in local communities so that an inefficient detention system does not become normalised in the face of pressure to restrict migrant movement. As this hopeful documentary set in Egypt, Lebanon and Germany shows, many forcibly displaced people have been able to establish businesses to support themselves whilst living in and adding value to their host communities, while they await resolution of their migration status – even in some countries where detention of many irregular migrants is the norm. Similarly, education initiatives for both uprooted children and adults who continue to reside in MENA, are applying innovative solutions to the lack of tertiary education for non-national persons, as described in the words of this Sudanese refugee in Jordan. Last week’s welcome news that the World Bank will support the Government of Lebanon in strengthening existing infrastructure, giving resources to the well-trained and dedicated teachers and school systems who have been integrating hundreds of thousands of Syrian children over the last five years, is another step in the right direction. 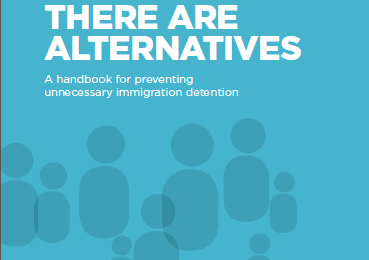 To learn more about the benefits of offering refugees and forced migrants support in the community download a copy of our latest publication There Are Alternatives and to follow the excellent work of our many Middle Eastern member organisations subscribe to our twitter account @IDC_MENA. 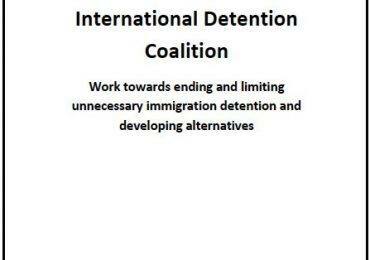 If you or your organisation is interested in joining the IDC please access our membership application page here. If you believe yourself or someone you know might be a useful MENA Regional advisor to the IDC, we are currently seeking sub-Regional nominations here.